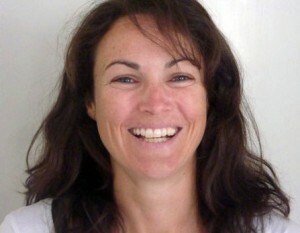 Susan is a teacher, a mother, a coach and a former International sports woman. Susan is passionate about sport, lifelong learning and especially interfacing sport and education in order to meet both high performance and holistic socio-cultural development needs. She is also passionate about helping people from all walks of life to reach their potential and she believes that human potential is always our greatest resource. Susan has a Bachelor of Education (Physical Education) with First Class Honors, a Master of Science (Coaching) and a PhD (Education). All three degrees are from the world renowned Moray House Institute of Education, at the University of Edinburgh. Susan is also a UK Level 3 field hockey coach. Susan played in one Junior World Cup and two Senior World Cups for her country, as well as multiple Commonwealth Games, European Championships and other world level FIH events. Susan played at the highest level for clubs in Germany (for Rot Weiss Koln – where they became European Cup Champions), Holland (for HGC – where she and her team won the European Cup Championship Bronze) and for the state of Victoria during her playing time in Australia with the Victorian Institute of Sport. Susan has taught in schools in Europe and in the UK. For 10 enjoyable years she led the High Performance Hockey Program at the National Sport School in Scotland: Glasgow School of Sport. Susan has also coached extensively in clubs in Holland, Germany and Scotland and was a national team coach with squads playing at junior European and World level events. For the last two years Susan has been working for Field Hockey BC where a focus has been to bring about exciting upgrades to their high performance programs and developing player and coaching pathways, to enable BC players to reach their potential. 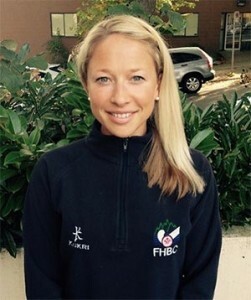 After spending 3 years working in Glasgow, Scotland for the 2014 Commonwealth Games, Melody returned to Vancouver in 2014 to join the FHBC team as Athlete Program Manager. 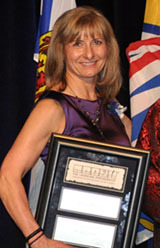 She graduated from UVIC and has since traveled and worked in Japan, Spain, England and Scotland. 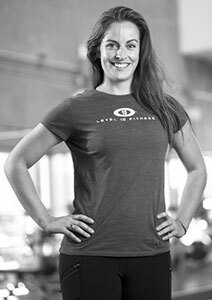 As a keen long distance runner, cyclist and yogi, she is passionate about athlete development, fitness and healthy living. 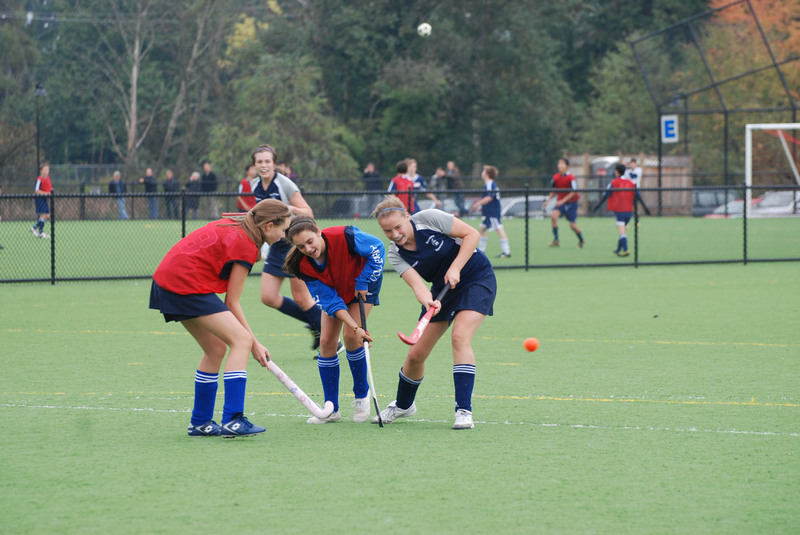 Melody continues to work closely with FHBC coaches, athletes, stakeholders and community members to deliver field hockey programming across the province of British Columbia. Melody is a dedicated member of this integrated network of professionals who strive to create the most optimal experience for BC athletes to participate, grow and lead in the sport of field hockey. Megan moved from Ontario to the West Coast January 2016. As an adventure seeker, she wanted a new challenge in life and made the trek across the country looking for new opportunities. Growing up, Megan was involved in many sports; basketball, volleyball, track & field, cross country running and speed skating—but her passion was for figure skating. She dedicated 15 years to the sport—3 of those years she was a member of the Provincial team and also represented Carleton University for a year. After realizing a business degree wasn’t the direction she wanted to go, Megan enrolled at Humber College in the Fitness and Health Promotion Diploma program. She furthered her education at Guelph Humber University by taking the Kinesiology Program. During her time there, she completed two Strength and Conditioning internships—one with FITS Toronto, and the other with Ryerson University. Here she had the opportunity to work with athletes of all levels ranging from grassroots to National team members. Also while at Humber, Megan was a member of the Varsity Cross Country Team for 5 years, which produced many top 3 Provincial and National championship results. In her last year, she was named Captain of the team. After finishing her degree, Megan had the opportunity to work with figure skaters at the Niagara Falls Summer Skating Academy. Here she created the Strength and Conditioning Program for the past 2 summers. Another highlight of Megan’s career was being invited to assist in the fitness assessments for the NHL Officials. Shortly after Megan moved to North Vancouver, she was introduced to Level 10. She instantly knew this was the place she wanted to start her career. She joined the team in late May 2016. Chris grew up on the North Shore attending West Vancouver Secondary School from grade 8-10 and St. Georges for grades 11 and 12. He played hockey, baseball, soccer, rugby, tennis and participated in track and field at the school and community level but it was basketball that became his passion. Upon graduation from St. George’s Secondary School in 2006, Chris chased his goal of playing collegiate basketball to UBC Okanagan in Kelowna. After serving two years as a red-shirt manager Chris earned a roster spot. He attributes a large part of this achievement to the training hours he spent with Anthony Findlay at Level 10 – first as a high school athlete and then later as a university student. 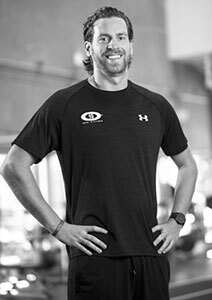 Chris graduated from the UBCO with a degree in Human Kinetics, specializing in clinical exercise physiology. While at UBCO he was a member of the Human Kinetics Student Union, ‘Heat’ Athletes Council, and was the elected speaker for his graduating class. Upon Completing a summer internship, Chris joined Level 10 as an employee in May 2012. When not working with clients he has an internship with the Vancouver Whitecaps where he is experiencing first hand the application of strength and conditioning and injury rehabilitation with their athletic therapy staff. Connor is a proud North Vancouver local who attended Windsor Secondary school. Growing up, Connor played soccer, baseball, football, hockey and basketball. However, Connor chose to dedicate himself to basketball in grade 10. In his Grade 12 year, Connor led his Windsor Dukes team to a 2nd place finish at the AA Provincials and earned himself a First Team All-Star selection. After his Grade 12 season, Connor was selected to the BC Provincial All Star Game, which featured the top 20 players in the province from both AAA and AA. After graduating from Windsor Secondary in 2008, Connor decided to stay local and play basketball for 2 years at Capilano University. He was the starting point guard at Capilano for two years before getting recruited to go play NCAA Division II basketball at SFU. For his final two years, Connor was the starting shooting guard for the Clan, and in his senior season broke an SFU record shooting 48% from the 3 point-line. After his 4-year eligibility was completed, Connor joined the SFU Men’s Basketball staff as an Assistant Coach while he finished his degree. Connor attributes much of his success to the many hours he put in at the gym with Anthony and the Level 10 staff. 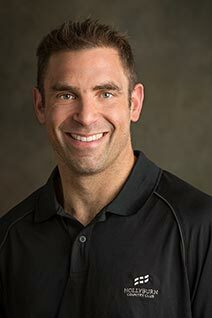 Furthering, his knowledge Connor has taken several post-graduate Kinesiology courses and has become a certified Performance Enhancement Specialist through the National Academy of Sports Medicine. He is also currently finishing becoming a Certified Strength and Conditioning Specialist through the National Sport Conditioning Association. With a strong passion for Strength and Conditioning and Rehabilitation, Connor joined the Level 10 staff in May 2016, after a 4 month internship. When he is not working with clients in the gym, Connor is a basketball coach for the Level 10 Basketball Academy. Connor is excited about the opportunity to combine his love of athletics with his passion for Strength and Conditioning. Chelsea’s ambition is to help each individual discover their inner strengths and help them bring out the best in themselves. She is a life-long athlete who is a current member of the Canadian Triathlon Team, having competed at the World Championships for the last 7 years, placing 3rd in her category, September, 2016. 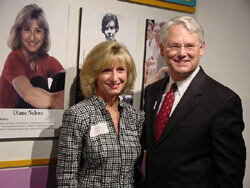 Chelsea has also competed in and coached rock-climbing, water skiing and gymnastics. 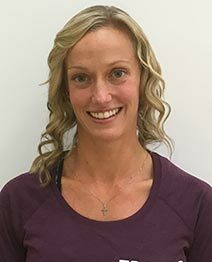 Chelsea enjoys working with anyone who is competitive or simply on a journey to improve their quality of life through fitness. She believes, teaches and practices that confidence, belief, hard work, consistency and desire lead to success. Her philosophy is that if you put your mind to it, anything is possible and attainable with the proper steps, support and discipline. Brad believes that everyone is an ‘athlete’ and that we can all get 1% better every day – we just need to think we can do it to achieve it! I found yoga in 2004 and it changed my life so profoundly that I felt compelled to take my practice from student to teacher. In the past 10 years I have taught thousands of people, of all ages and all abilities. I can be found teaching at West Vancouver Community Centers, West Vancouver High Schools, Hollyburn Country Club and as a Yoga Coach for the West Vancouver Schools Academy programs. I am passionate about inspiring and educating others about how to train not only their bodies, but also their minds – to experience life with more presence, awareness and focus so that they can access their natural intelligence and innate potential. I believe that health comes from a much deeper place than simply having a body that looks strong – true health originates from balancing mind, body and spirit. My teaching style is described as engaging, intuitive and uplifting. I use concise, intelligent and accessible language. I focus on teaching optimal physical alignment using structural alignment principles. My ongoing training as a yoga therapist in contemplative neuroscience allows me to infuse my classes with a dialogue that brings my students to a place of inner peace through outer wellness. I come from an interdisciplinary background with formal education and career experience in Marketing and Human Resources. 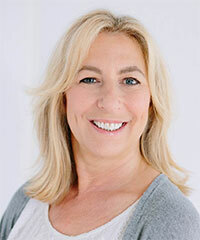 Combining my past career experience with ongoing training in neuroscience, mediation and psychotherapy allows me to bring a language and a skill set into the yoga room that is inspiring, compassionate, motivational and far beyond the average yoga experience. al level. He recently received his FIH International Level 3 Coaching Certification in Ipoh, Malaysia and currently works with the West Vancouver Field Hockey Club as the Technical Director, overseeing all club coaches and programming. Junior National (U21) team that won a Pan-Am Silver Medal and completed at the 2016 Junior World Cup.